So since I am pulling long days in the studio working on my senior project & always find I leave my large coffee mugs there I've decided I need a thermos. I drink a lot of coffee in the morning which is totally bad for me! 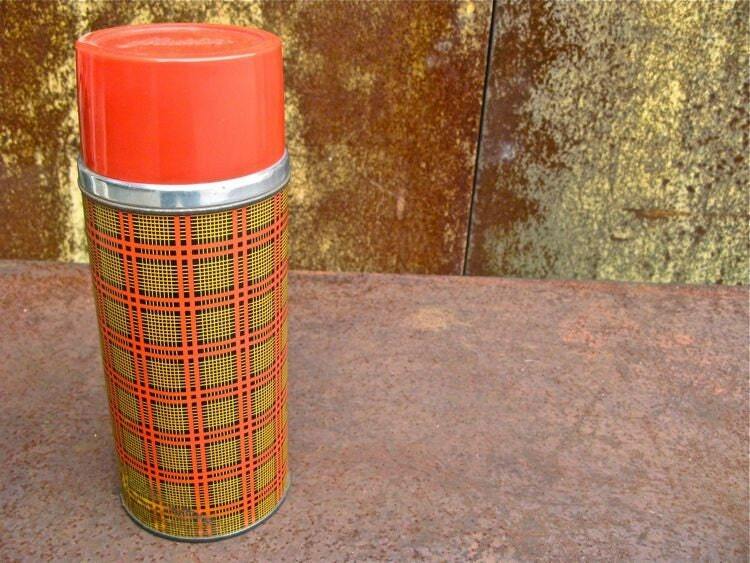 But, I don't want a regular old thermos, I'd love to have a vintage one! I am afraid of shopping in thrift shops for them since I am not sure where they've been or really how to clean them. But I may just go a see how they look, if I can find one, & if I can clean it up nice! 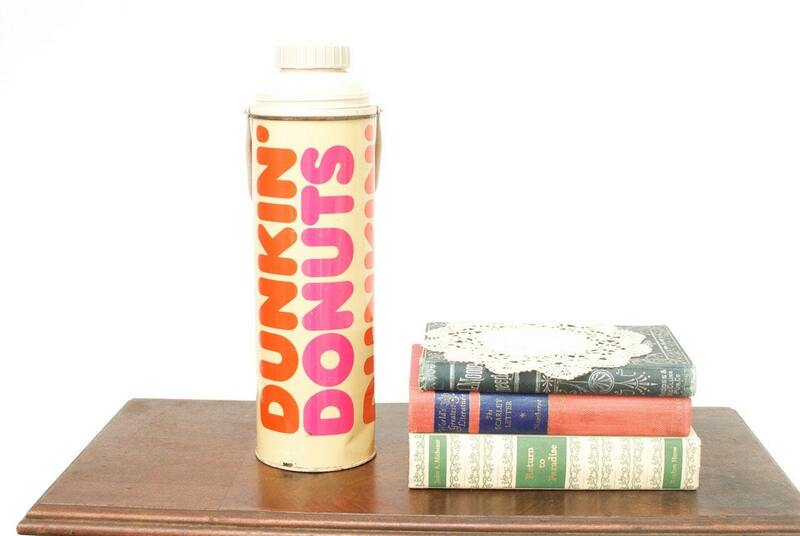 I looooove Dunkin' Donuts coffee this is so perfect! this red plaid one from Reindustria is super neat! I love the pattern on these. And here's the plus: it's a whole set! along with these two cute containers. This wood paneled one from Closet Photo. I love the wood design. This one would make me feel constructive! I hope I have one soon! Right now I am using one of my room mate's water bottles to transport my hot gallons of coffee to campus. 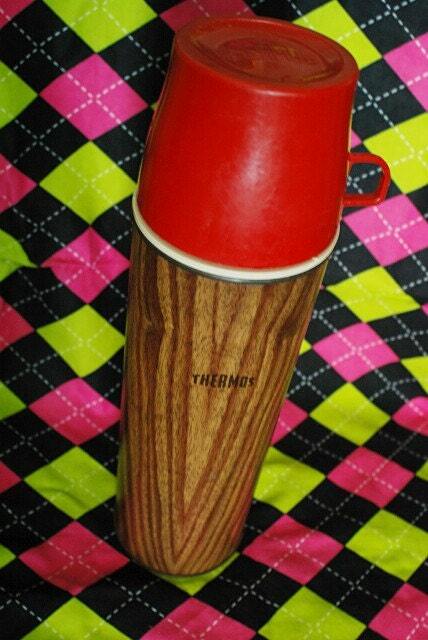 I love all of the thermos options you've shared. 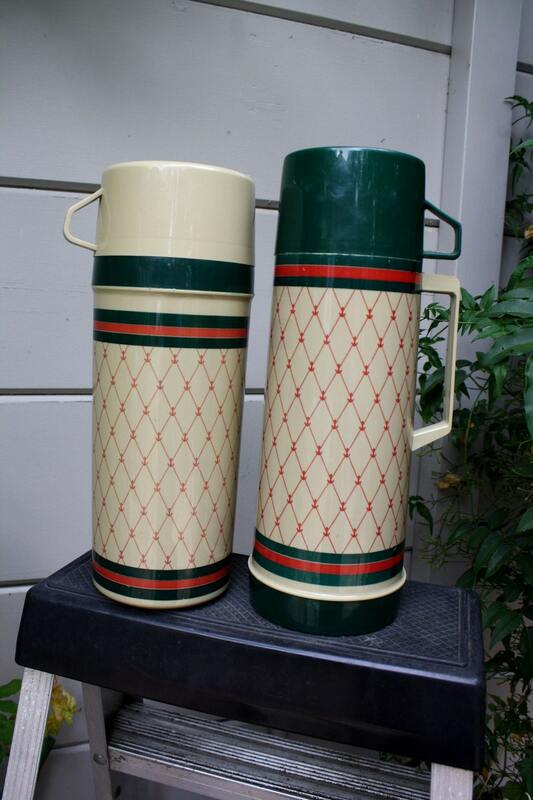 I was once iffy about Thermos from the thrift store, but I highly recommend you embark on the thrift store search for one! I have a few thermoses from thirft store. They cleaned up well, they're beautiful, and they are fun to use. I keep a small tea pot on my desk at work, along with a pretty cup. I use both a few times daily, and they make the office more homey.